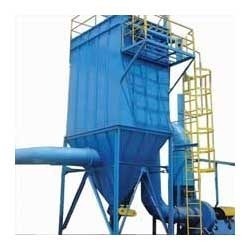 We are a leading Manufacturer and Supplier of Air Pollution Control Devices such as Cyclone Dust Collector, Wet Scrubber, Bag Filters, Dust Collector and Electro Static Precipitator from India. 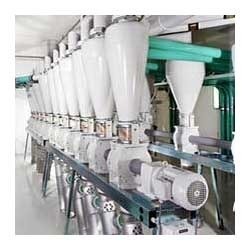 We are among the acclaimed names in the industry for manufacturing and supplying Wet Scrubber. The offered scrubbers are used for removing dissolved gases and dust particles from air expelled from factories. These scrubbers are robust in terms of construction, resistant to corrosion and require least maintenance. The offered scrubbers are durable and available at cost-effective prices. 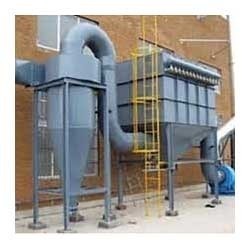 With years of understanding in this realm, we offer an excellent gamut of Cyclone Dust Collector. Offered product is designed from superior-quality raw material and sophisticated technology. While fabricating the offered variety of product, personnel lay special emphasis on the overall quality and durability. Furthermore, our quality supervisors keep an eye on the complete range before final shipping to avoid any possibility of flaw. Leveraging on enormous industry experience, we are indulged in providing comprehensive compilation of Bag Filters that is made up by using finest quality raw material to make sure reliability and durability. Accessible in numerous sizes, shapes & dimensions, we can have received know-how in modifying complete range as per the details and requirements provided by our esteemed patron. 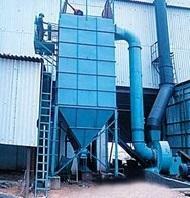 Under the stern shadowing of well-trained personnel, we are indulged in presenting Dust Collector. Highly valued amongst our patrons for their greater efficiency, unmatched performance and supreme finish, we are presenting these products to patrons in different provisions. Offered array is designed under the command of skillful personal by making use of topnotch grade raw material as per set industry norms. 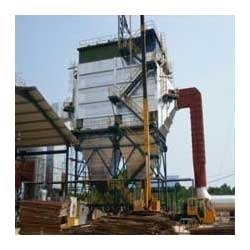 As per the diversified necessities of our patrons, we are presenting an optimum quality Electro Static Precipitator . This product is specifically designed using quality-assured components that are acquired from the certified vendors of the market. As per the industry laid quality guidelines, the presented product is sternly examined against varied quality limitations. Additionally, our honored patrons can buy this product from us in various stipulations as per their favored choice. Air pollutants mainly occur as a result of gaseous discharge from industry and motor vehicles. There are also natural sources such as wind blow dust and smoke from fires. Some forms of air pollution create global problems, such as upper atmosphere ozone depletion and global warming. These problems are very complex, and require cooperative efforts to find solutions:Hitech helps in providing all solutions related to air pollution monitoring and control. The most frequently used Air Pollution Control Devices for controlling air pollution emissions are Fabric filters (also called bag houses), Cyclones (or Multi cyclones), Wet scrubbers, Electrostatic Precipitator. Looking for “Air Pollution Control Devices”?